We provide interactive self solutions to multiple industries from the public sectors to healthcare as well as retail sector. We work with multiple industries solution partners to provide a comprehensive self service interactive solutions. the leader in this industry from many government’s, commercial users and credentials. 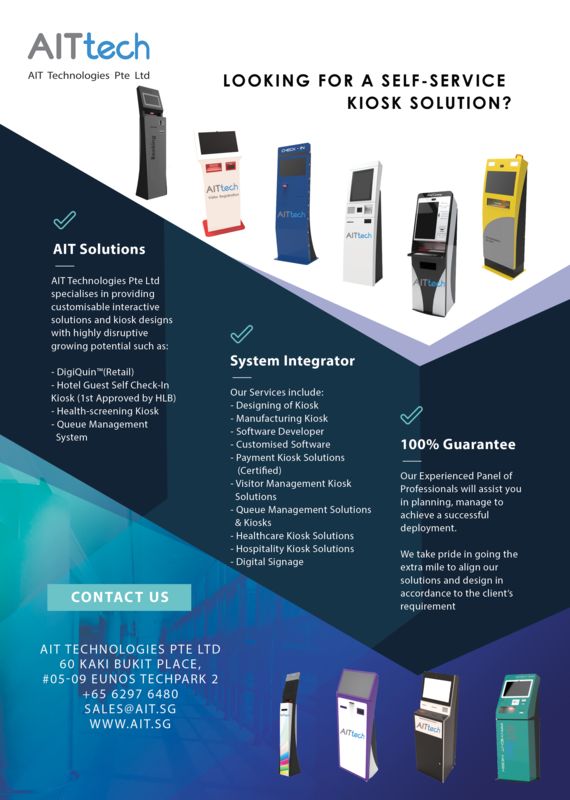 AIT provide customisation of kiosk with their professional designer, providing customer their leading edge in demand and lifestyle concept. Our standard Kiosk designs are also constantly refresh to stay relevant to our disruptive and ever-changing trends. AIT specialises in providing customisable interactive solutions and kiosk designs with highly disruptive growing potential. Meet over a cup of coffee and share with us your dreams.